These gifts are our 'best-of-the-best' for that special person in your life. If you want a high-quality, unique gift that will take their breath away, then look no further. These gifts are perfect for that 'hard-to-buy-for' person, or even as a special gift for a one-off occasion such as an engagement, wedding or anniversary. We're also offering FREE DELIVERY on all orders over $100 from now until midnight Wednesday 24/12/14. 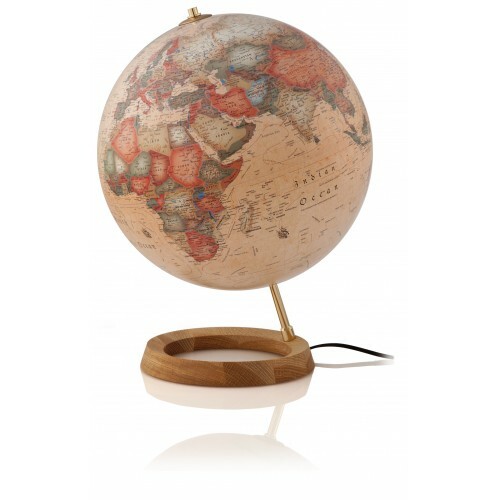 This antique-style globe comes mounted on a contemporary oak base - it's the perfect combination of traditional meets modern. 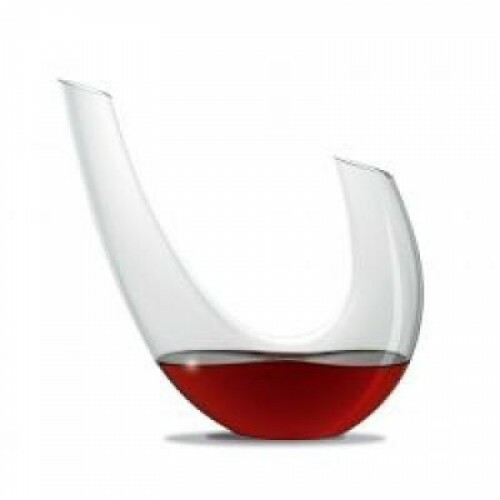 Every wine enthusiast should have at least one beautiful decanter, and the Cetra Decanter certainly ticks this box. The gently tapered shape is easy to pour from, whilst the stylish design ensures this is a piece you'll want to display in your home. 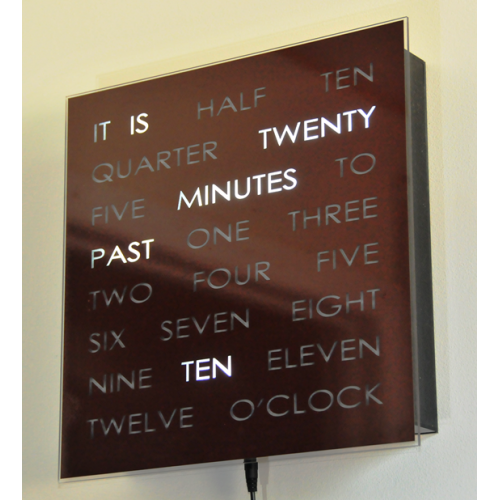 A unique clock that uses words instead of numbers to communicate the time. This elegant clock is carefully crafted by one of our local artisans, Doug, here in Canberra, Australia. 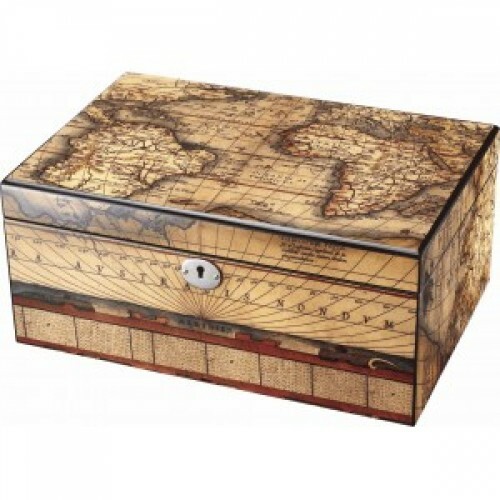 Whether it's cufflinks, jewellery, desk accessories or cigars, this is the perfect premium storage box for all of your precious pieces. This luxurious box features a high quality lacquered exterior, with a plush velvet interior and removeable inserts that allow you to customise the box to suit your needs. 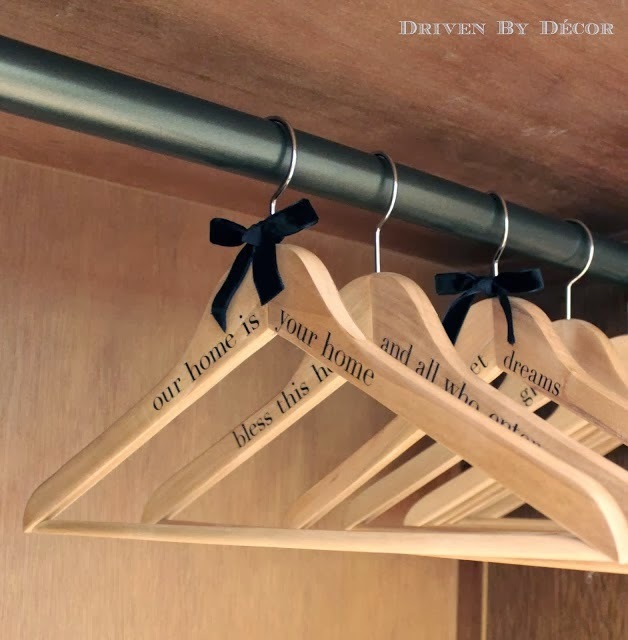 If your wardrobe full of old mishapen wire and broken plastic hangers, you'll love this simple gift idea from Driven By Decor. 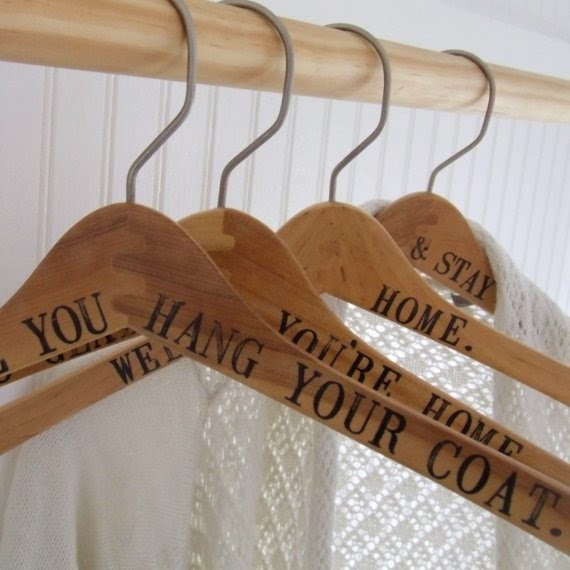 In fact, who wouldn't love to receive these coat hangers as a gift? Coat hangers can be so plain and uninspiring, which is such a shame when we spend good money on clothing. As soon as I saw this gift idea I felt inspired and started to think how I could embellish them for different family members and friends. You can personalise the lettering to suit your recipient - meaningful quotes, funny sayings, special birthday and anniversary dates, names, favourite books, types of clothes i.e. coat, favourite frock, etc. - the options are endless! Upgrading your coat hangers will force you to have a clear-out and reorganise your wardrobe. 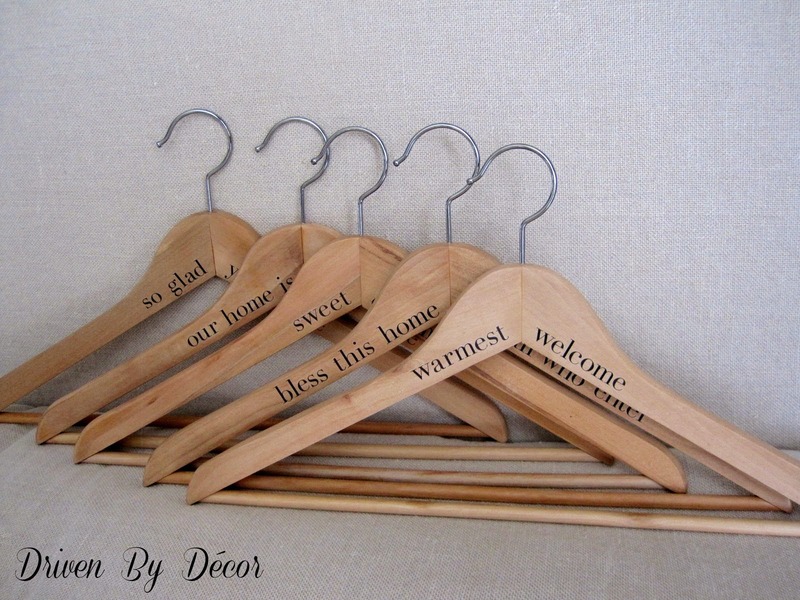 Shop around to find your wooden hangers. Look for good quality hangers that are made from a nice wood with a smooth finish. Raid your ribbon stash (if you have one) to find interesting ribbons, lace and other embellishments to tie around the hook. Otherwise check out your local haberdashery store or $2 shop to find some interesting ribbon. 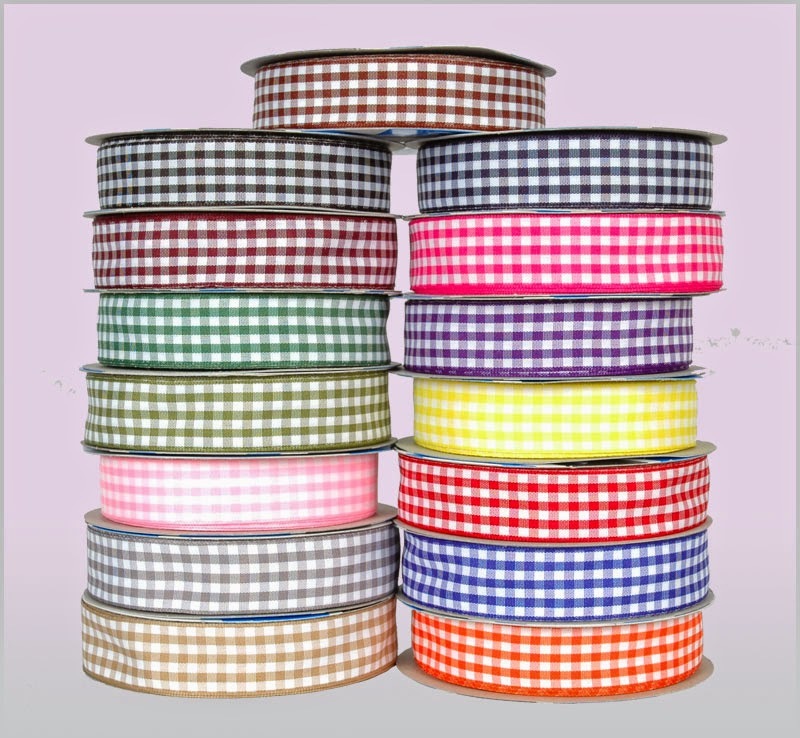 Gingham ribbon, for example, would be a cute choice with broad appeal. You could even glue interesting things like buttons, shells, foam shapes, etc onto them - visit a craft shop for inspiration. Find rub-on letters to personalise. Bright stickers with matching ribbon would be fun for kids. The kids could choose them and even stick them on themselves. This idea is from www.drivenbydecor.com, which is packed with Kris' beautiful design ideas and DIY projects. What sort of coat hangers do you have in your wardrobe? 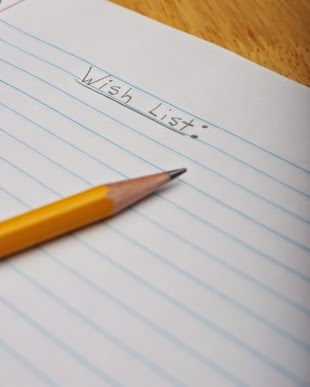 Want to create a searchable wish-list? There's an App for that! 1. 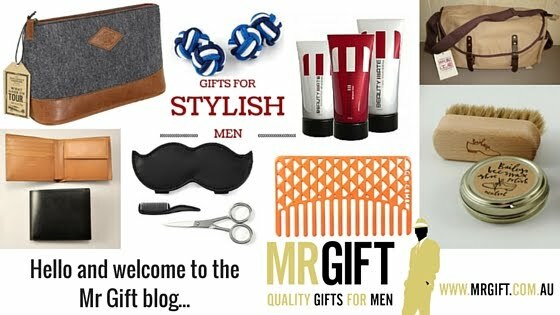 What is the Gift Club App and how did it originate? Kate: The Gift Club App is first and foremost a new form of all purpose gift registry for your smartphone. I am personally not a fan of traditional gift registries but I am sympathetic to the dilemma of modern gifting. We all have too much stuff and there is nothing worse than creating more clutter and landfill not to mention debt, angst and resentment. 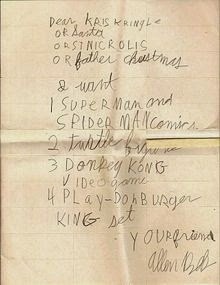 This gave me the idea of having a searchable wish list. Users can add things, preferred charities or intangibles, to their list as they come across them or think of something they would like. 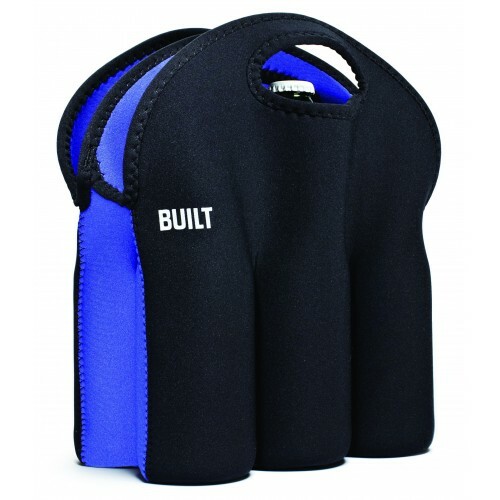 Unlike a traditional gift registry, there is no need to send out lists of things you would like to friends and family. You essentially "set and forget". No one needs to feel pressure or put out that you expect them to give you a particular gift. You aren't asking anyone for anything, you are just listing the things you would like and it is up to the gift giver whether they want to look up your wish list. The group gifting feature allows groups to nominate a gift for a recipient and vote on the preferred nominated gifts. 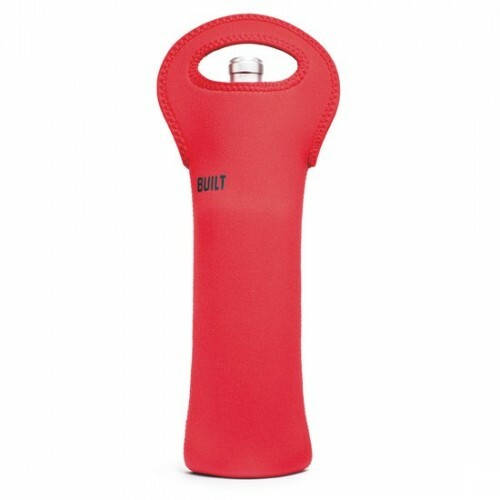 This feature was inspired by trying to coordinate class gifts for the teacher but it could equally apply to workplaces and sporting teams - any time that a group of people want to get a gift for someone. There is also a Secret Santa allocation feature which allows members of a group to randomly allocate each person to another person within the group so that no one knows who got who. 2. What are some of your favourite features of the app? Who is the app designed for and how can it assist people with their gift shopping? Kate: My favourite feature is the searchable wish list. I have learned so much about my friends and family by finding what they are wishing for. It is astonishing sometimes how little is involved in making the people we love feel special. The App is designed for everyone! Even if you think you want for nothing, you will receive gifts at some time. 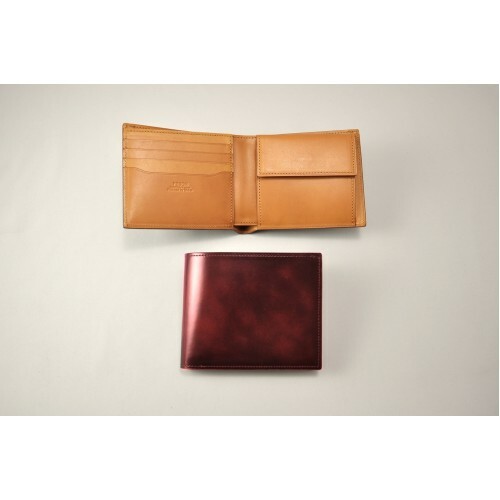 People will always want to mark special occasions with gifts and so you might as well let people know what you want whether that is a new wallet, home made banoffee pie or a donation to your favourite charity. 3. What was it like creating an app? What were the most rewarding and challenging parts of your journey? Kate: It's been a steep learning curve! I know nothing about technology and did not even own a smartphone when I came up with the App. My sister thinks it is hilarious because I always said I was yet to hear of a useful App and then I developed one. The most challenging part of the journey has been understanding the programming process. The most rewarding part has been meeting small business owners and learning about innovative and creative products that I can recommend for gifts. Kate: One of my friends at Uni had so little money that he went without shoes for a year. He had to walk 6km to Uni every day in bare feet and had to give up most sport. For his 21st, a group of us pooled resources to give him shoes. Kate: Apart from my engagement ring, which doesn't really seem like a present in the traditional sense, a painting by the Brisbane-based artist Starr that my husband gave me for my birthday a few years ago. Kate: At the moment I am concentrating on letting people know about the App. It is a unique product so it has been very time consuming introducing it to potential App users. Ideally I would love to create my own line of eco gift tags and wrapping materials to complement the App. Gifting is an art and we seem to be losing that art at precisely the time in our history when we most need it. Human connection has become so transient. 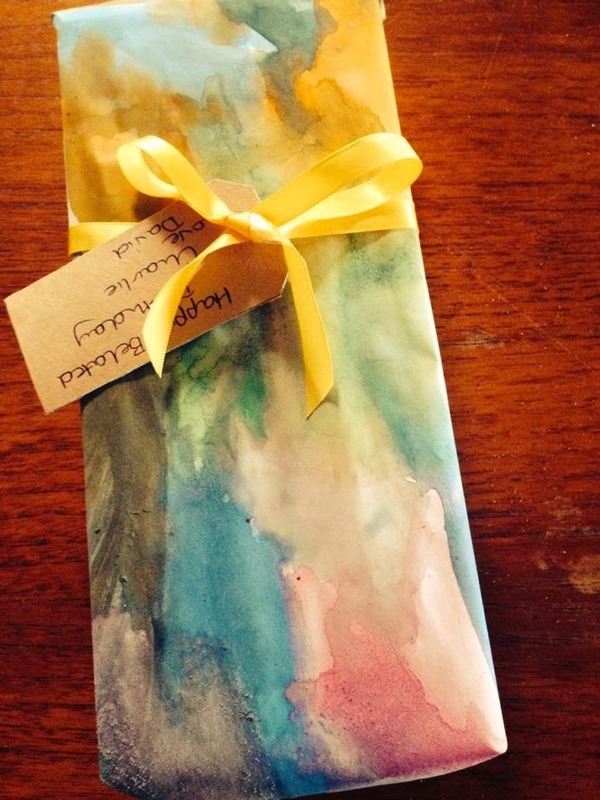 Giving a well presented and considered gift, no matter how small, is an important way of connecting with someone in a multi-sensory way. Gift Club is a free App that can be found on iTunes here and on Google Play here. You can also find more gift ideas, gift wrap and celebration ideas the Gift Club Facebook page. 1. Why did Paul's decide to get involved in Movember this year and why does the company feel passionate about this cause? 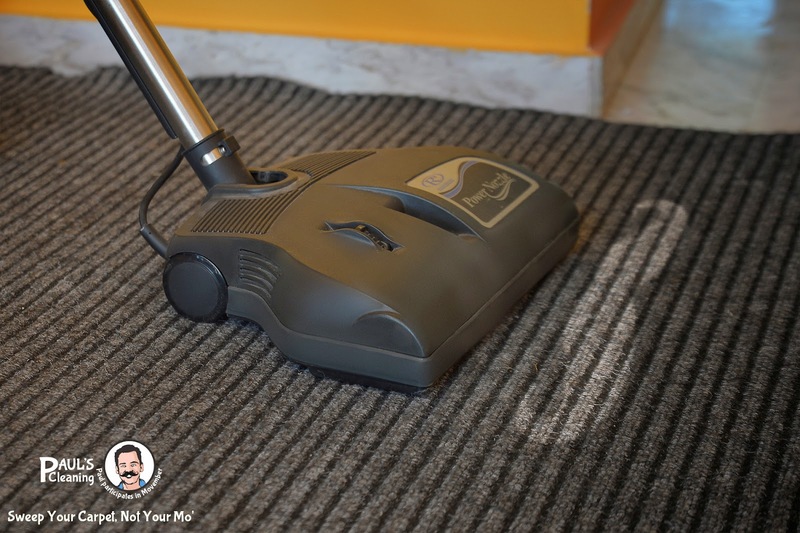 It is no secret that Paul's Cleaning is a customer-oriented company. What we want people to know is that we also care about their health. Our company's talent is not just in delivering convenient and high quality services, but also in making people's lives easier and better. It is only natural to join a cause of such significance as Movember. 2. How many team members are participating and what sort of Mo's are they planning to grow? Do you have before and after pics? We have around 10 people who have joined already and, funny thing was, that we managed to recruit a lot of Mo' Sistas. Apparently our female employees embraced the charitable cause and decided to help in other ways by raising awareness and hosting fund-raising parties in their local communities. As for the moustaches it is a bit too early to say what kind of Mo's will be grown and everyone is being secretive about his. 3. Do Paul and the team have any strategies/tips they'll be following to grow a great Mo? 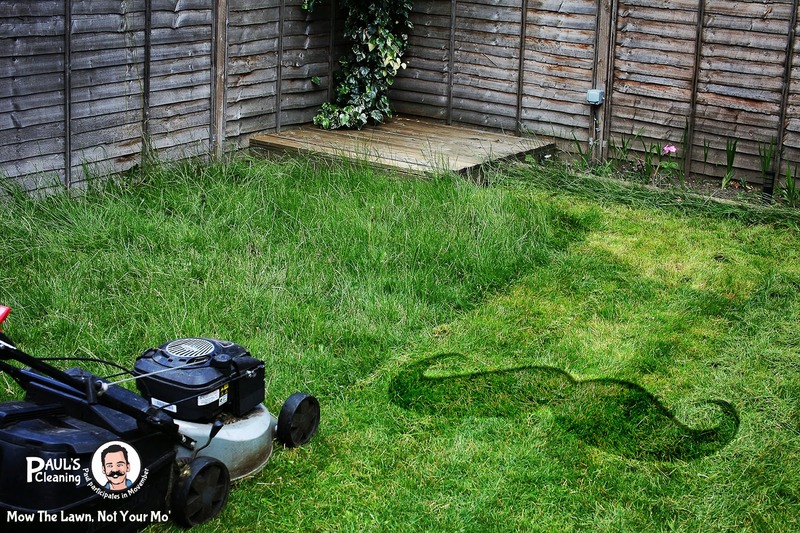 Our most important tip is to grow your Mo' with love and with the clear idea what you are doing it for. It can literally save lives! Hopefully this will be enough of a motivation to help you endure the itching during the first few weeks. Other than that you have to be very patient the first few weeks, the hair on your upper-lip won't be nearly enough for any styling. When it grows fuller you can start styling. 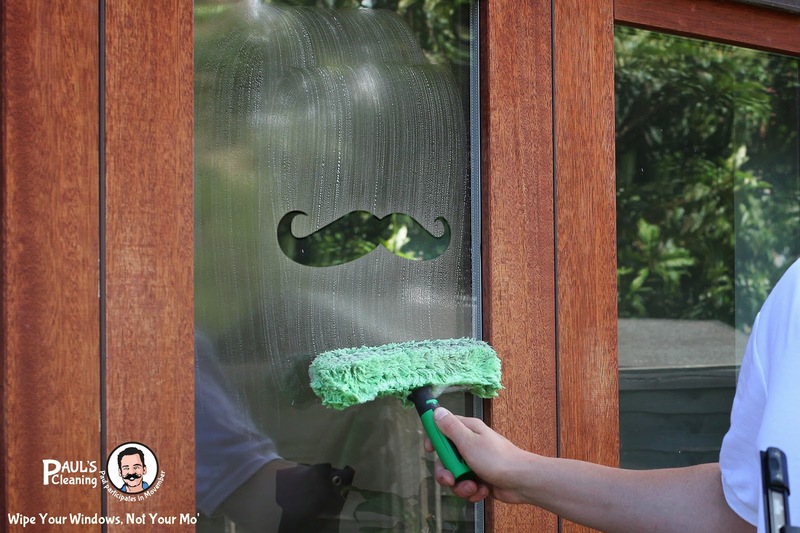 As any of our cleaning experts would advise, keep your Mo clean. Simply rinse it in the shower and check it out after each meal. You don't want any of leftovers on your great Mo. 4. Will Paul's have a Mo shaving ceremony or celebration at the end of the month when Movember is over? We haven't thought about a Mo shaving ceremony much. Although it sounds like fun, we decided that maybe not everyone will manage to attend. What we will do is have a Mo contest, where the best Mo wins a special prize. Our Mo sistas from the "jury" will judge it. 5. Does the Paul's team have a goal amount that they would like to raise by the end of the month? How can people get involved and support Paul's? We will try to raise as much as we can, but we are not going to be aggressive in our approaches. We hope people join and donate to our team, because they like our Movember concept and approach. Employees, clients, friends and family of the company can help our efforts to raise funds and awareness by donating to our team here. Thanks Paul's! We loved listening to your story (especially about the types of food to avoid;) and wish you and the team all the best in your fundraising efforts. If you'd like to support the Paul's team, please follow the above link to donate. Kate: The best types of wrapping paper are made from post-consumer waste. 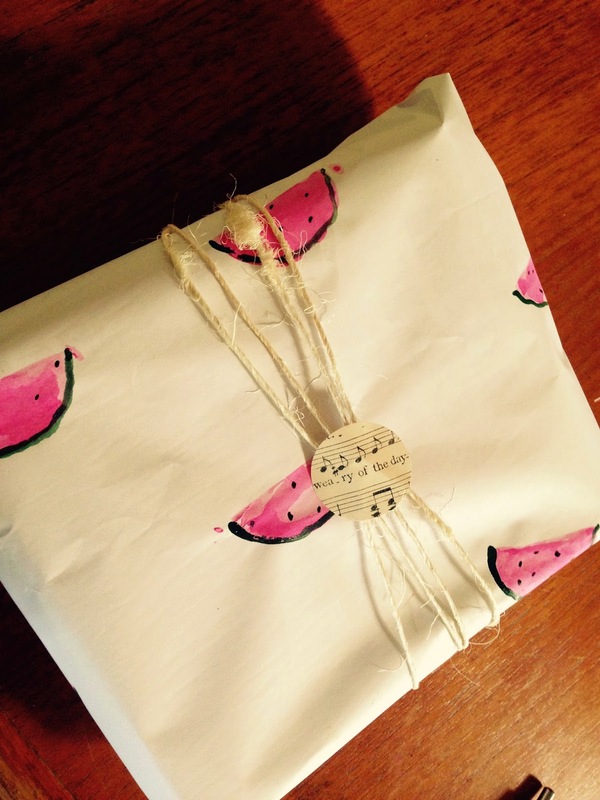 There are some wonderful eco gift wrap manufacturers now and their products are the most beautiful on the market as well as being the most environmentally friendly. My favourite is Earth Greetings which do beautiful wrapping paper and gift bags but Biome also have some beautiful alternatives. I tend to use recycled or found materials - fabric remnants are good, brown paper is a good standby and sometimes the wrap is part of the gift - muslin baby wraps for part of a baby gift, an apron for a kitchen gift, a tea towel, the kids artwork on butcher's paper - I even used oyster shells to wrap pearl earrings once! Kate: I have a selection of boxes of gift wrapping supplies because it always seems like we need to put together a hostess gift, a birthday gift or some other gift at short notice when we don't have a lot of time to be shopping around for the gift and then the wrapping paper and embellishments. I have a selection of papers and recycled ribbons, fabric scraps, gift tags, paper and cloth flowers that I can use to decorate gifts and then I play around with the different patterns and colours to make sure that I come up with a combination that works for the gift, the occasion and the recipient. Kate: I really think ribbon or some kind of embellishment is necessary so that the gift looks gift wrapped but I don't necessarily buy ribbon. I use upcycled ribbon, fabric scraps, jute string, raffia or wool depending on the overall look of the gift wrap. Kate: I tend to keep it simpler for men. I still use beautiful gift wrap but probably string instead of ribbon and a simpler gift tag. With women's gifts I like a vintage look with lace, embellishments like doilies, paper flowers and decorative gift tags. I have a lot of fun decorating kids’ gifts. I once made gift wrap into a fabric reuseable noughts and crosses game with Velcro backing on the noughts and crosses. I like making little girls’ gifts pretty and fluffy - strips of tulle look nice as ribbon and I embellish them with pom poms or silk flowers on hair clips that form part of the gift. 5. What are some cost effective/eco-friendly solutions? Kate: While there are some lovely reclaimed materials available, I still think the most eco-friendly (not to mention cost effective) solutions are using what you have around you. I make gift tags from cereal boxes and cover them with thrifted paper or fabric remnants. Using the kids’ artwork for relatives is always appreciated and it’s surprising how good it can look. As set out above, making the wrap part of the present can add to the sense of abundance of the gift while still being beautifully presented. 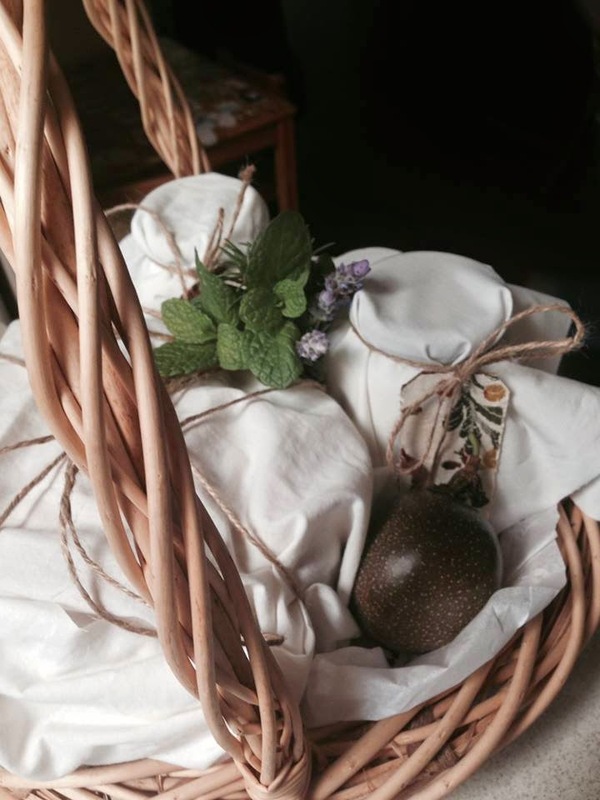 I also love putting together gift hampers in baskets from thrift stores which can look spectacular - particularly when embellished with herbs or flowers from the garden. 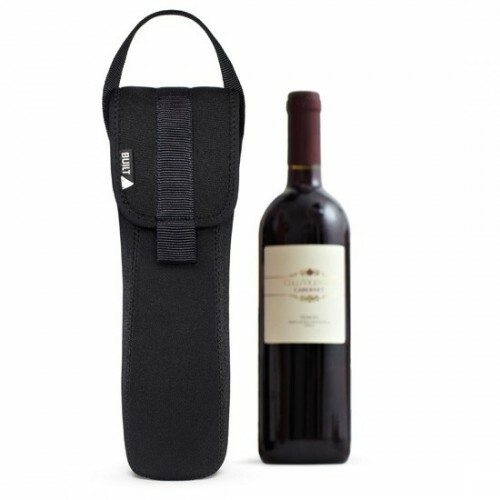 I wrap wine in sleeves of old business shirts. I make the main part of the shirt into dresses or shorts for the kids but I don't need the arms. This looks very effective and only requires very basic sewing skills. These tips were kindly shared with us by Kate Schwarz from Gift Club. Kate has developed a gifting App for smartphones, called Gift Club. 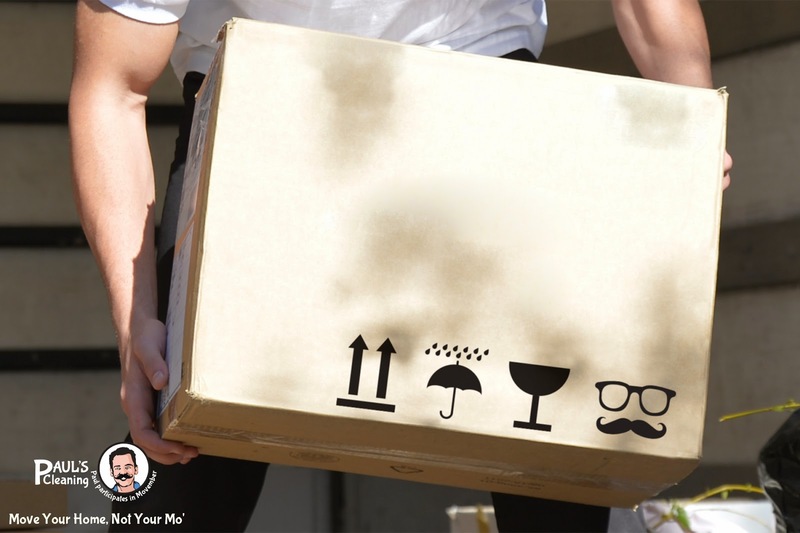 Users can create searchable wish lists, coordinate group gifts and allocate Secret Santa. Gift Club is a free App that can be found on iTunes here and on Google Play here. You can also find more gift ideas, gift wrap and celebration ideas the Gift Club Facebook page. Emma: Striped bakers twine for music sheets, brown paper or plain white paper. Emma: For small kids I usually use tissue paper so it is easy to rip open. I’ll often attach fresh flowers for women and kids, and use stripes or plain colours and twine for men. Emma: Using wrapping that is part of the gift is the most eco-friendly. 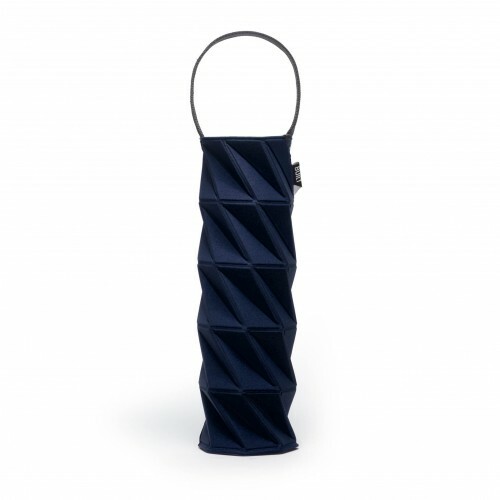 You can gift wrap earrings in a scarf and tie with ribbon, or gift-wrap a cookbook in a smart tea towel or table cloth. 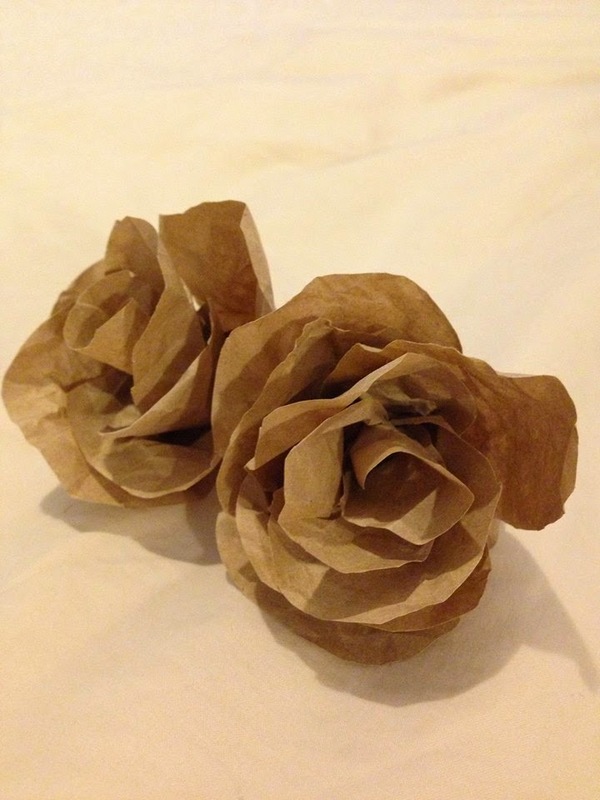 Gifting food wrapped in brown paper and twine looks great – it’s recyclable and cost effective as well. These tips were kindly shared with us by Emma from Pie Society. 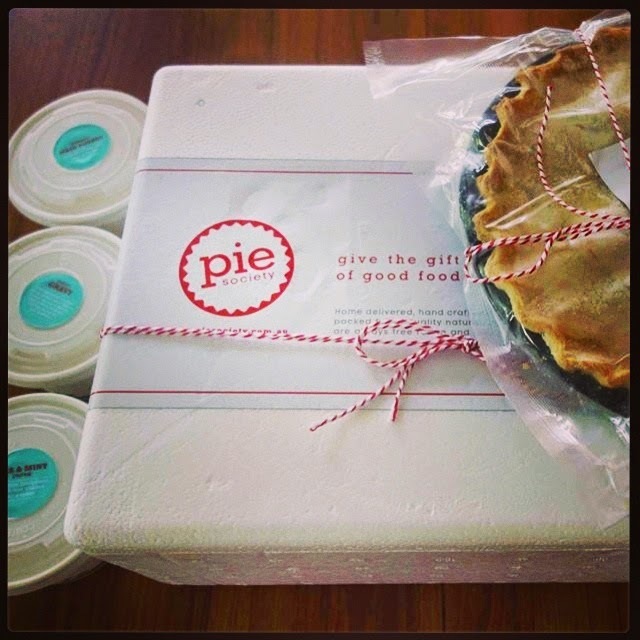 Emma has created the Sydney-based meal gifting business Pie Society, which produces all-natural handcrafted pies, sides and sweets. These are gift boxed with personal messages and delivered to most Sydney suburbs, as well as Richmond, Campbelltown, Central Coast, Lithgow, Wollongong, Blue Mountains & Newcastle. 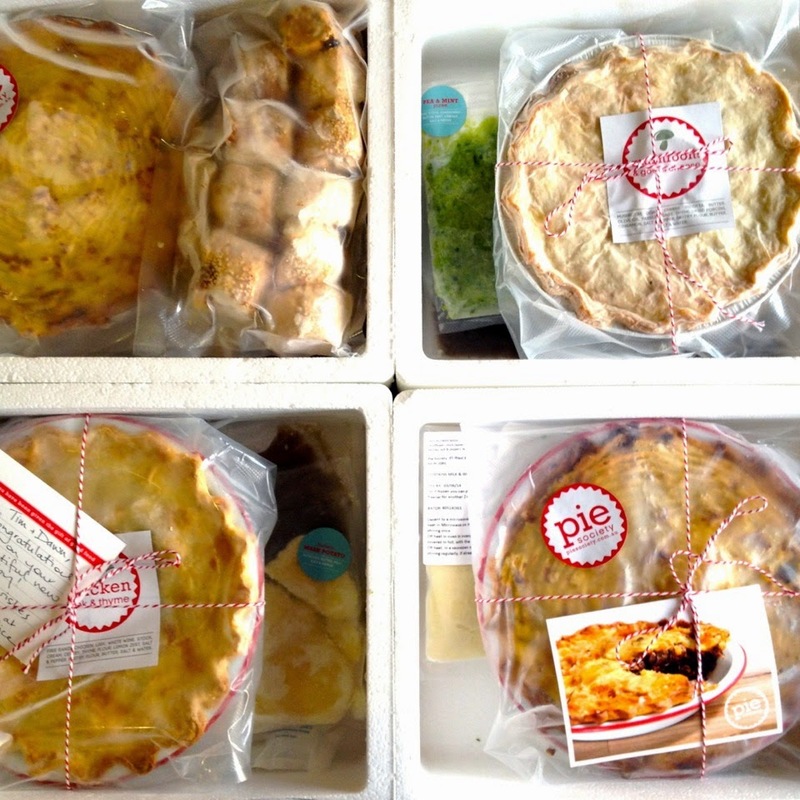 You can peruse the menu and order online at www.piesociety.com.au. What was the most beautifully wrapped present you have ever received?